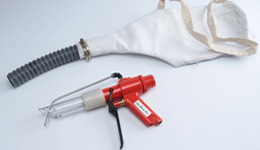 General Imsubs offers various air amplifying blow guns, blow nozzles, ergonomic compressed air blow guns which can adopt to any of air amplifying blow nozzles. 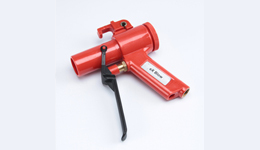 Long lasting trigger saves compressed air wastage due to leakage and its quick response desing ensures minimun wastage of compressed air when work is completed. Air amplifying blow nozzles works on ventri / coanda principle. 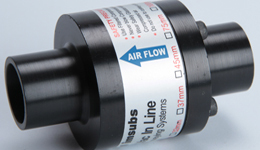 Air amplification can reach upto 25 times the compressed air used. 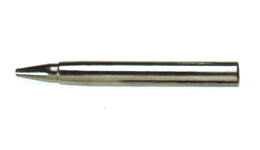 Tough Durable, wide area blow gun. 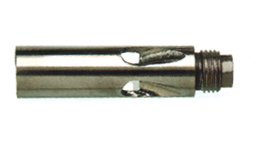 Stainless steel High Thrust Nozzle. 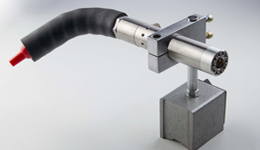 Long Lever for reduced operator fatigue. 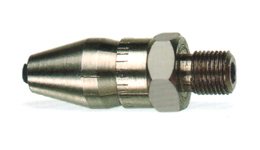 accept any 1/4" / 1/8" BSPM Nozzle. Meets OSHA safety Norms : N.A. Vortex tubes are instant cooling or refrigeration devices using compressed air as prime mover. 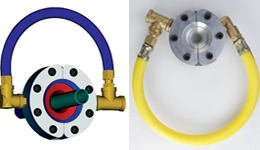 Vortex tube gives cold air stream at one end and hot air stream at another. These are compact, zero maintenance devices. 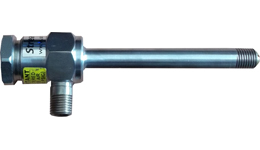 Vortex tubes are basic component of cold air gun and panel / cabinet coolers. The Vortex Tube is an effective, low cost solution to a wide variety of industrial spot cooling and process cooling needs. Compressed air is injected into the vortex tube, flows at a rate of up to 1,000,000 RPM towards the 'hot' end of the tube. Based on vortex tube principle and using vortex tube as a prime source of cooling, cabinet / panel coolers are used for panel cooling and enclosure cooling. Panel coolers are supplied with thermostates and meets NEMA 12, 4 and 4X requirements. 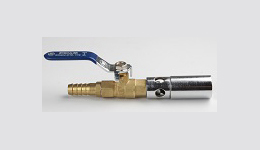 Cold air guns are ideal solution for spot cooling and dry machining. 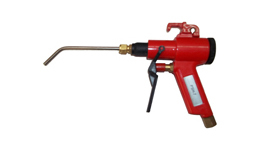 Cold air guns are supplied with magnetic base and it is muffled to make is silent. 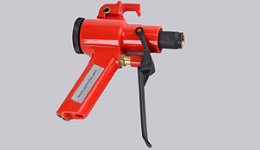 Cold air gun - depending on application can replace coolent mist spray system on many occasions. Compressed air operated, electrical operated hopper loaders for granules and free flowing powders. 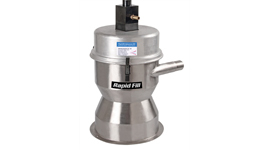 We also offer compact hopper loading system using Vac In Line. Our hopper loaders are simple yet very reliable in design. Using best available electrical motors and vacuum pumps hopper loaders offered by us easily out class competition in reliability. 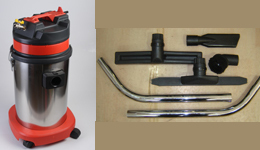 Compressed Air Operated portable, quick set up vacuum conveyors for small parts, granules etc. 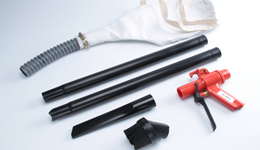 Can also be used for fume extractions, trim conveying and fixed air blowers for cooling and ventilating. Available in Aluminum and stainless steel. 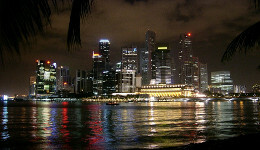 Can be supplied in any special material against order. 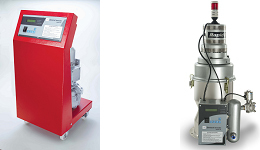 Highly reliable, maintenance free vacuum loaders for plastic granules. Available in 2 type of controller. Timer based and micro controller based with warning systems. Vacuum loaders for plastic granules. Available with micro controller based with warning systems. Available in 1 phase and 3 phase. Capacity 200 to 5000 Kg per Hour at 5 mtr height. Single phase loaders are economical where as 3 phase loaders are reliable. 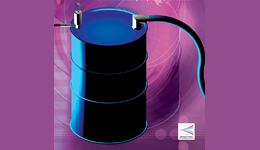 Compressed air operated barrel filling and empty systems are available in 2 version, Reversible filling and empnty system and only empty system. Filling system is good for steel & plastic..